Join our Legions - click to Follow! From lesson plans, to games and activities, warmers, coolers, and everything-in-between, we’ve got you covered. So you’re hunting for the perfect teaching job. You’ve nailed first in your Skype interview, as well as your Skype demo lesson, and now you’ve been offered the job! Congratulations! Next, comes time for the tricky part: discussing the terms of your employment. Negotiating a contract for any job can be daunting, let alone a teaching job in a foreign land. Sometimes it’s difficult to know what inclusions should be standard, what terms you should negotiate, and what extras you deserve. I’ve negotiated more than a few employment agreements in my time, and have had several teaching contracts among them, so here’s my advice for 7 things that must be included in every teaching contract. It sounds obvious, but it’s really important to be really clear on the exact length of your contract. For example a school may offer you a 12 month employment term, but the actual time you work there could vary depending on things like when your visa is finalized, school vacation times, and school terms. So be sure when reviewing a contract and before signing it, that you know what period you’re committing to working. Once you’ve got the job, some schools will put you on probation for a number of months before you’re officially an employee. If you have to be on probation, be aware of the terms of probation. Make sure you know the length, the salary you’ll receive (you may receive less during your probation), and what you have to do to pass probation. It’s obviously best if all of this is clearly stated and agreed upon in writing, in your contract, or at least in a separate document you and your employer sign. Perhaps another obvious sounding one but, agree on your salary before signing the contract, and make sure it’s outlined in the contract. Many schools will negotiate your salary, so don’t be afraid to ask for more. When negotiating, ask whether taxes, or other deductions will apply to your salary (like unemployment, pension, and so on), as this will of course affect your ‘take home’ salary. Once you’ve agreed on salary, confirm how you’ll be paid and when (most schools will pay into a bank account, once a month). Linking into salary and salary negotiations, you’ll probably be offered additional benefits as part of your package. These can include health insurance, housing allowance, monthly or quarterly bonuses, a flight allowance or reimbursement, and/or transport allowances. Again, after you know exactly what offer is on the table (and you’ve negotiated where you see fit), make sure it’s included in your contract in detail, so it’s understood how much, and when. Try to be as clear as possible on the working hours per week that you’re committing to, and will be paid for. Of course, some extra tasks may come up from time to time, but some schools may ask you to work extra unexpected hours, and you may not be paid for them! So check things like whether overtime will be paid (and at what rate), if you have to go to events or training outside of work hours, and whether your paid hours include class preparation time. Check that your key duties and responsibilities (or even better, a job description) have been documented somewhere. It may not be outlined in your contract, but hopefully you can have a documented referenced in the contract, or included as an appendix to the contract. As with any job, there may be ‘scope creep’ during the time you’re employed. If you have a concreted document that was agreed upon upfront, it’s great to have something to refer to if you don’t feel like a task you’ve been asked to do is within the scope of your job. One last extremely important thing, and you might simply assume this about contract negotiations, is only sign a contract if it’s written in English. Some foreign laws will state that if there are two signed contracts, each in different languages, and there is a dispute, the contract in the local language prevails. Unless you have a local person you trust implicitly who can read over the text and translate for you, don’t ever sign a contract in a language you don’t understand, no matter how much someone tries to convince you to do so! Of course you can’t foresee absolutely everything that might go wrong in a teaching job abroad, but if you think seriously about these 7 things that must be included in every teaching contract, you can sleep soundly knowing you’ve done your best. Also remember, no one has a right to keep your passport for any length of time once your visa has been issued. Now good luck with your new job, and enjoy teaching English abroad! What other things do you think should be included in a teaching contract? Let us know below! So you’ve had a Skype interview for that teaching job you want in China and everything went really well (you probably followed our tips!). Now the company has asked you to prepare a demonstration (demo) lesson and give it to them over Skype. You might be asking yourself: How do I do that? What do I need to include? What should I think about? I’ve given a few of these lessons in my time, and there’s really nothing to stress about … if you follow my tips on how to prepare for a Skype demo lesson. Prepare a detailed lesson plan. You may be an extremely experienced teacher, think this is all a piece of cake, or think you work best a Capella, but you should always have a lesson plan to work from. This will help you clearly map out what you want to happen in the demo, and many interviewers will in fact ask you to submit a lesson plan prior to the demo class. You might be doing the demo lesson for just one interviewer, or you might be giving it to a panel. You should keep this in mind when lesson planning (and of course while giving the demo), particularly with your interactive activities. Make sure that you’re absolutely clear on the grammar point (or points) you need to cover in the demo lesson – if you’re unsure, double-check with the interviewer. Don’t incorporate other grammar points if you’re not asked to; be sure to stay on task. From the grammar point(s), you should be able to work out roughly which level the learner is (beginner, intermediate or advanced) and then tailor your lesson plan accordingly. Again if you’re unsure you can ask the interviewer (but keep in mind that sometimes part of the interview may be to identify the learner level). Confirm with the interviewer how long the demo lesson should be, and then plan for that time frame. But, always make sure you include extra activities, just in case they’re needed to fill the time. Ensure you know how old the students at your (potential) new workplace are likely to be (adults, teenagers, or young learners) and keep that in mind when planning the lesson and activities. This demonstrates to the interviewer that you have the ability to teach the students at their school. Find out how many students would be in a typical class at the school you’re being interviewed for and plan the lesson activities for that number (as well as a few more, and a few less!). It’s always good to try to include different activities that are tailored for different learning styles – visual, auditory and kinesthetic. This might mean including a mix of mediums like a video, some cue cards, and some writing exercises, for example. In your lesson plan, highlight any potential problems or challenges that you may encounter during the lesson (for example explaining vocabulary, or a tricky grammar point) and outline how you would overcome these issues (both in a class and before it). Check everything tech related, as we’ve suggested in our article about preparing for a Skype interview (here). Be yourself and relax as much as you can. Sure you might be nervous, and it can be a weird feeling giving a demo lesson over Skype, but it’s important to give the interviewer as good an idea of your teaching skills as possible. Speak clearly and loudly enough to be heard. There’s nothing worse than having to repeat yourself over and over because the interviewer can’t hear you. It’s embarrassing, and obviously will affect the flow of the lesson. On the other hand, make sure you’re not speaking so loud that you’re deafening the interviewer! Keep on track with your lesson plan as much as possible, but also have the flexibility to deviate if needed to ensure the lesson objectives are met. Do a quick self-assessment: what went well, and what could I improve on for next time? This will help you with your next Skype demo lesson, and perhaps also help when discussing feedback with the interviewer. Some interviewers may even ask you to discuss the good, and not so good parts of your demo. Seek feedback. The interviewer may not give you any feedback during or straight after the lesson, so you may need to request feedback in an email after the interview process. In your email, it’s good to be clear about what type of feedback you want, and on which specific aspects of your demo lesson. Skype demo lessons can be a daunting thought, but you’ll find they do get easier the more of them you do. If you go into a demo with the mindset of ‘it’s just a normal face-to-face lesson with a student’ you should be able do it as naturally as possible, and show off your teaching skills! And hopefully these tips on how to prepare for a Skype demo lesson will help you land that awesome new job you want in China. Good luck! Have you had a Skype demo lesson before? How did it go? What tips can you share? Teaching a large group of younger learners in a classroom requires a lot of patience, tolerance, and creativity. When designing a lesson plan for elementary school children, it helps to include some fun kinesthetic activities that promote movement and interaction. If kids sit at their desks too long, they can often lose focus and become inattentive. Younger learners respond better when there is more variety and physical activity involved in lessons. Plus, kinesthetic games can break up the pace and increase participation. Games and interactive activities can also facilitate language acquisition by helping students review important points learned in class. Below are three vocabulary games for the classroom that you can try with your students. They all require the students to move in the classroom, so you should make sure that you have enough space free of any obstructions that could get in their way. Board race ESL vocabulary games are excellent for younger learners. Most students love board races because they can compete with their classmates. Plus, they get excited about not having to be stuck at their desk all day. To start, push the desks and chairs to the sides of the classroom. You want to make sure there is a clear path from the far side of the room to the board on the other side of the room. Get the students to move everything. With their help, it should only take a minute or so. Next, divide the class into two teams. For larger classes, you can have more teams. The teams should form two lines at the far end of the classroom. The first student at the start of each line must run (or walk quickly) to the board and complete a writing task. You can set the task to be anything that you like. For example, they could spell a word, write a sentence, or write the answer to a grammar question etc. Whichever student answers your question correctly on the board first, scores points for their team. After writing, the students can return to the back of their team’s line. Then, the next two students in the lines get ready to race to the board. The game continues in this way until everyone has had a chance to play. You can have multiple rounds and vary the difficulty level of the tasks that they must complete on the board. Another kinesthetic learning game that kids like involves testing their memory. For memory race ESL vocabulary games, you need to make sure that there is extra space for the students to move around the edge of the room along the walls. They will be moving around the classroom in a circular fashion. To begin, split the class in half and form two teams. Again, you can create more teams if the class is particularly large. Next, assign “waiting stations” at different locations in the classroom. Four waiting stations are usually appropriate for most situations. For instance, you can use the four corners of the room. One member from each team waits at each location. At the first waiting station (usually at your desk), write down five words on a piece of paper. Show the words to the first two students. Give them about 30 seconds to commit the words to memory. After the 30 seconds are up, they must go to the second waiting station and whisper to their teammate the five words. Then, the second team member goes to the third waiting station to pass on the words to the next team member. Finally, the fourth team member from each team will eventually return to your desk to tell you the words. The teams score a point for each word that is remembered. You could even reward bonus points for whichever team gets back to your desk the fastest. The last kinesthetic learning game that works really well with younger students is the Word Whack game. Before you start the activity, you should prepare a couple soft objects that could be used to hit the board with. You could pick up some cheap plastic balloon mallets from a dollar store or try rolling up some paper to form a cylinder shape. Whatever you use, just make sure it is soft enough so that it doesn’t hurt anyone. Once you have everything prepared, you can start the game. First, do a brief example for the students so they understand what they have to do. Write (or elicit) a number of different words on the board. Space them out nicely in different locations on the board. You could base the vocabulary on different themes, such as nouns, verbs, adjectives, or a topic that you have recently covered in the course textbook. Next, with the “word whacker” in your hand, say one of the words on the board and hit it. Say a bunch of the other words and strike them with the object so that everyone understands the task. After the demonstration, call up one student from each team and give them their word whacker. Call out words randomly that are on the board and the first student to hit the correct word receives a point. Give students a few chances to score more points for their team. After a minute or so, the students can return to their seats, then call up two more students to complete the task. Check out ESL Expat’s website if you would like other fun ESL vocabulary games to use in your classes. The site also features additional resources for language learning on their blog section, including teaching tips and personal stories about teaching English abroad. Paul is a certified language instructor currently based in South Korea. For other fun ESL games and information about teaching English abroad, visit his website ESLexpat.com. Thinking about teaching ESL overseas? A TESOL certificate is your passport into the thrilling field of Teaching English overseas. There are over 300 million people studying English in China alone, so your job prospects after completing the course are fantastic. But, this question should really be: why do you want our TESOL Certificate Course over all others? We provide a comprehensive course, which includes practicum here in Tianjin, an online specialization, and lifetime career support. We prepare our students for all aspects of life overseas. What is TESOL? Teaching English overseas is a word full of acronyms. 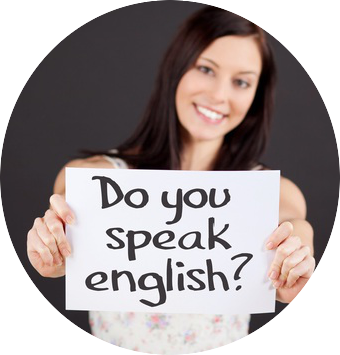 Here’s an overview: TESL (Teaching English as a Second Language), TEFL (Teaching English as a Foreign Language), and TESOL (Teaching English to Speakers of Other Languages) all teach English to non-native English speakers. The difference is: TESL is for teaching in an English speaking country while TEFL is for teaching English abroad. TESOL encapsulates them both. CELTA (Certificate in Teaching English to Speakers of Other Languages) is the British equivalent to the TESOL, but the 80-hours a TESOL student completes at their own pace is done in a classroom setting. Why would I want a TESOL Certificate instead of a TESL, TEFL, or CELTA certificate? A teaching certificate is an investment, so it’s important to think about the upfront costs, and the return on investment. CELTA is very well-known, but a TESOL can be completed in less time, and at a fraction of the cost. The last part is important, because unless the job you’re applying for specifically calls for a CELTA, you’ll probably be able to get the same job with a TESOL. Which study options does ESL Suite offer? We have two different methods of study. The first is our In-class course which is offered in Tianjin, China. This is the preferred method of completion. Classes are fun, lively, and full of like-minded people. Students learn from each other, as well as the instructor. If you cannot find the time or cannot attend the course in China, you can take the course online. There is no difference in the materials covered, regardless of the method of study. So, it’s simply a matter of deciding which learning style is best for you, while taking into account your budget and schedule. What kind of job can I get after I complete the course? When teaching abroad, you may teach students of all ages. Children as young as three go to English kindergartens, while senior citizens study English as a hobby. You might teach primary or secondary students, businessmen, housewives, other teachers, or people who study English to improve their job prospects. Most schools focus on one or two age groups, so if you have a very strong preference for a specific age, make sure you’re placed accordingly. English teachers are in high demand in China, South Korea, Taiwan, Turkey, and the Middle East, so it’s also a good idea to start thinking about which location fits your broader personal/professional goals. How can I get started? We have weekly information seminars in Tianjin, but for those who don’t live nearby, we’re happy to answer questions by phone,email, or schedule a consultation via Skype. The course dates are listed below, and you may register for one of our sessions here. ***Bonuses are paid for TESOL referrals after the student has paid in-full; for teacher referrals 3-months after the teacher arrives in China. There’s no better motivation to launch your overseas teaching career than to enroll in a TESOL course. I did it seven years ago, and it completely changed my life. I came to Tianjin in 2009 and haven’t looked back. In the meantime, I’ve traveled to Japan, Korea, Thailand, Laos, Vietnam, India, Indonesia, and at least a dozen other countries! And, I’m not alone – for many people, teaching English and traveling the world becomes a preferred lifestyle choice. The Chinese philosopher Lao Tzu said, “The best time to plant a tree was 20 years ago; the second best time is now.” Your dreams also may be waiting for you just around the corner – get started today! When I was in primary school, I had enormous respect for my teachers. I didn’t always behave well, but I was a good student and hardly ever got into trouble. I knew my teachers well, and I had a good idea of how much fun I could have in class before my teachers would get angry with me. I was attentive, did my homework, and behaved. However, when we had a substitute teacher, things were different. It was like it was a lesson without consequence. Substitute teachers rarely got mad, wouldn’t call your parents, and if you forgot your homework they wouldn’t care. They were always nice and played games, so we liked them but didn’t respect them. At least not as much as we respected our regular teachers. In China, I feel there’s a similar comparison between Chinese and Foreign teachers. I’ve seen it in all three schools I’ve worked for. The local Chinese teachers command a lot of respect in the classroom, the students seem very disciplined, and the classes run smoothly. But, as soon as the Foreign teacher starts, the students flip a switch and go into “play mode”. They test your limits, act up, and if you scold them in English they don’t understand. I’ve seen many examples, including myself, of foreign teachers being treated like a “play uncle” in the classroom. Although our teaching style is often more interactive than Chinese teachers, it’s not how the students should be perceiving us. We should command the same respect from the students as their Chinese teachers do. When you first start teaching a class, it’s important that you show yourself as an authority figure early on. It’s easy to be too sweet at first because we want the students to like us. However, if you’re too much fun at first, they’ll always think you’re playing around and not being serious. It’s easier to start strict, then gradually ease into a friendlier version of yourself. But, it also means being patient with the students because they won’t fall in love with you as fast as they otherwise would. In the long run though, they’ll respect you more, and will treat you more like an authority figure. As with anything new, you should start any new class with setting clear rules and boundaries. Let the students know what they can and can’t do, what you expect of them, and ask them what they expect of you. Getting the students involved in the rule-making process is also a good idea, because it gives them ownership. With older students, you can simply take the first class to discuss class rules and expectations. With younger students, it’ll take longer, but it can mostly be done through games and activities. Teach them words like “stand up,” “sit down,” and other vocabulary related to classroom instructions and rules. Practice with the students, and be strict at first so they know your boundaries. In my opinion, it’s important to find a balance between being strict and nice. A good teacher never needs to yell at students, but always has clear rules, and consistent methods for punishing bad behavior. In my classes, I have a scoreboard for each student. When they do well they earn points, represented by checks; when they do something they’re not supposed to, I erase their checks. Students quickly learn what earns and costs checks, and they behave accordingly. I have taught my current students for about two years; now they know me well enough to know how much they can play around, and when to sit down and listen. There’s a maxim for teachers to establish discipline early on in their classes: “Don’t smile until Christmas.” This may be an exaggeration, but it’s true that establishing clear rules and discipline is easier if you start early. Kids feel more safe in a classroom with clear rules; this leads to better academic performance from the students, and less stress for the teacher! 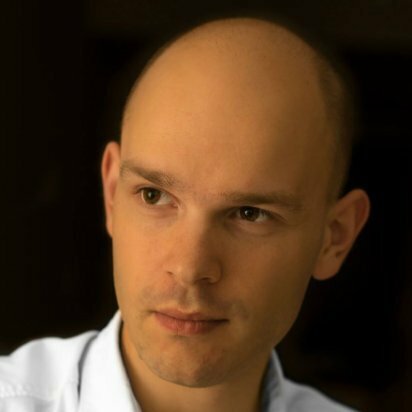 Mikkel is a Chongqing based teacher, blogger, and photographer. He’s lived in China since 2010, and can be found blogging here, here, and here. The key with TESOL games and activities is keeping them fresh. Even the most exciting activity can induce eye-rolls from your students if you return to the well too many times. 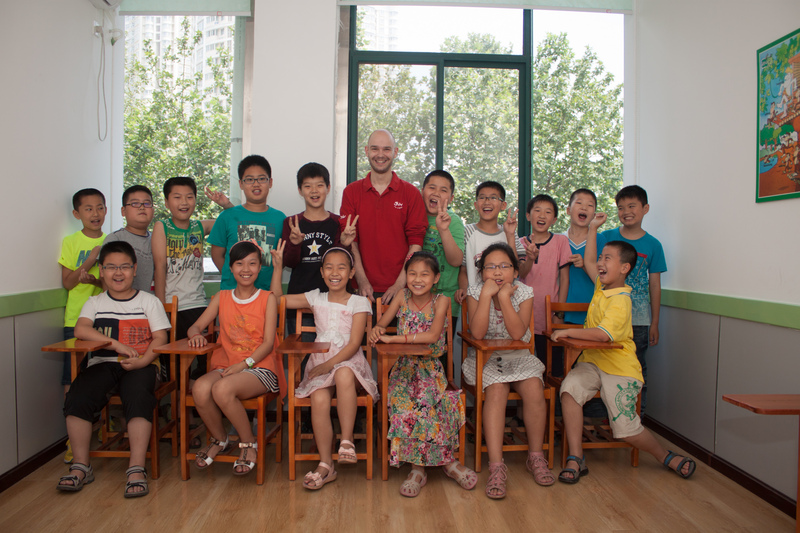 When I got my first teaching job in Luoyang in 2011, I generally only saw the same students once every two weeks. Over the course of a week, I would teach 18 different classes, and the following week I might teach 18 different classes. This made it difficult to remember all my students names and their language proficiency level. On the positive side, it meant that any game, activity, or ice-breaker I designed had a very long lifespan. I could play a game with one class, and when I saw them again two weeks later, the game would still be new and exciting. I could use it again a third time as a warm-up, so a single game or activity could sometimes last as long as six weeks. However, at my current school I teach my own classes, and sometimes see the same students twice a week. Now, remembering their names and skill level is easy, but I sometimes find myself running out of games to play, because the lifespan of the games is much shorter. As a teacher, you learn to value games and activities that are reusable or easy to adapt. Games can be used repeatedly, even though you’re teaching levels, or different words and sentences. These are also useful as “fall-back” activities, for when you need to suddenly fill-in for another teacher, or you have extra time left at the end of class. I’d like to share a few with you here, today. The sticky ball and dice are a teacher’s best friend–they’re versatile and useful teaching tools. Some schools don’t have a lot of teaching aids and materials, so you must make do with some basics to keep the class exciting. Something as simple as throwing a sticky ball on a flash card stuck on the whiteboard is something children love. Chinese students are extremely competitive, so it can infuse energy into a class. Plus, it can add a little randomness to what they want to say, because the language they use is dictated by what card they hit on the board. I also have the alphabet printed on laminated cards, and students can spell simple words by throwing the sticky ball at the letters, hitting the letters in sequence. They enjoy it because it’s spelling practice, but it’s also like a sport; they’re competing to get the most points. This works better with slightly younger students, as it takes to long to write words like “Music Performance” and “Birthday Party” when you have to throw a ball at each letter. Similarly to the sticky ball, dice can be used in a myriad of ways. For example, I use a big plush die to play “hot potato” with my students, having them pass it to each other until I say, “Stop!” Then, they must either ask or answer a question related to the subject or grammatical point I’m teaching. Instead of sticking flashcards on the whiteboard, I number a set of words from 1-6 and I have the students roll the dice to see what word they have to use. I also conveniently usually only have 6 students in my class and they sit in numbered chairs from 1-6, so I draw boxes on the floor with words or small assignments and then throw the die in a box to see which student has to perform the action or make a sentence using the word. These are small simple activities that are in no way topic specific and can be used for teaching and practicing almost anything. I find that simplicity is king when it comes to designing games and activities, because the simpler they are, the easier they are to modify. That way, one game turns into many games! Do you have any dice or sticky ball games you like to play with your students? Share in the comments below, or send a link to your blog! Mikkel is a Chongqing based teacher, blogger, and photographer. He has lived in China since 2010, and can be found blogging here, here, and here. Make your students laugh (at you)! Mikkel having a laugh with primary students. The use of humor—especially self-deprecating humor—is a fantastic skill to have as an ESL teacher. Making sure your students have a blast while learning English is important, but you shouldn’t make “having fun” the most important goal of your lesson. Having fun is….fun—it can inspire students to work hard for you—but you also need to make sure they learn something. The novelty of being a foreign teacher eventually fades, so it’s important to balance fun and laughs with enriching content. If you learn to do this, you’ll have a captive audience every class. Foreign ESL teachers teach English in a different way than most Chinese teachers do, and at first I didn’t understand the difference. Chinese teachers at public schools often teach students with rote memorization, while ESL style teaching is more interactive and engaging. This might be why the students were always thrilled to see me and the other foreign teachers—they see us as a breath of fresh air from an otherwise dreary day at school. My first long-term employment was at a kids’ school in Luoyang. I worked there for about two years, and I taught two kinds of classes. For primary aged children I would visit 16-18 different classes per week, and I usually returned to the same classes once every two weeks. Total it was around 33 classes—each with 12 students—and I had about 400 students who saw me regularly. Walking into a classroom once every two weeks for 50 minutes was great. The students would expect my arrival, so it was easy to keep them interested. Later I started teaching older students; every weekend I taught three classes of Middle School students for two hours each. As I gained more experience my teaching style started to evolve; I became more of an entertainer while teaching. Since I was a child I always had this weird talent for making sounds and noises; this proved to be a useful skill in the classroom. I wanted to be an actor when I was a child, and as a teacher I have the opportunity to bring that dream to life. Being animated in the classroom is useful when teaching kids. For example, when I teach vocabulary I act out every word into an elaborate scenario. Luckily, I’m not afraid to make a complete fool out myself, so I entertain the children with drama, sound-effects, and exaggerated movements. A class with me usually keeps my students laughing, smiling, and definitely learning. If I acted like this on the street I might be thrown in a mental hospital! But, for the students it’s a refreshing change, and they’re appreciative if a teacher can make learning English exciting. Small kids will laugh at almost anything, but older students are more discerning. Entertaining teens with games and activities was more difficult because they’re at a self-conscious age—they’re more cautious than small children about making a fool of themselves. Plus, I saw them more often and for a longer time than my younger kids, so the well of games and activities ran dry faster than with the little ones. It takes a certain kind of funny, and sometimes you need let go of your pride and just lose it. Still, aside from the goofiness it’s key to create an environment of mutual respect. Older students benefit from knowing you’re never laughing at them, you’re laughing with them. As a teacher it’s important to never make fun of students, and don’t let them harass each other, either. Teenage kids in China have the same anxiety and fears as kids in the west; you should have fun, but mustn’t let students suffer or get hurt. It’s possible to be a teacher who commands respect, but is also someone they look forward to seeing. I’ve been teaching in China for the past five years, so occasionally I have lapses of motivation. But, when I make my students smile I feel re-energized. When everyone’s happy and having a good time learning is fun for the students and the teacher. Sometimes when my students are struggling with the lesson I shift into comedy mode. Adding a bit of levity can break the tension, and if I’m lucky the joke will actually help them understand what I’m doing. So in that way I’ve found self-deprivation doesn’t only lift the spirit, but it also can be an effective teaching tool.